Tesla has overtaken Ford, and as the automotive industry changes we know that autonomous cars are the logical next step. Joint research brings us closer. After record sales in the first quarter of 2017, Tesla exceeded Ford’s market value. This is a true indicator of the changes that are taking place in the automotive industry. Autonomous cars are the next next step, and Toyota is collaborating with outside researchers to refine the future. Tesla stocks are gaining popularity among investors, trading at more than $300 USD per share on the NASDAQ. Investors seem more inclined to favor Tesla, a symbol of the future, than Ford, which revolutionized transportation over a century ago. Founded in 2003, Tesla Motors, which did not profit during its first three years of production, is now worth more than Ford, the 113-year-old automaker that sells millions of cars each year. In the first quarter of 2017, Tesla delivered 25,000 cars, more than the estimates of analysts, and there are plans to produce 50,000 cars by next June. To achieve the goal of 500,000 cars by the end of 2018, the company will build at least three gigafactories. 2017 will be decisive for Elon Musk’s company, which must be up to the expectations of some 300,000 customers who have pre-ordered the Model 3, touted as Tesla’s first mass-market model. But the news of deliveries exceeding forecasts has made the company’s stock market soar so that, with $47 billion USD in market value, Tesla is now worth more than Ford, valued at $45 billion USD, whose sales dropped by 7.2% in March. Tesla’s recent performance is perhaps a sign of the profound upheavals, both technologically and commercially, experienced by the automotive industry. According to a study by the University of Michigan, the arrival of the autonomous cars could shrink the market by as much as 43%. Automakers must radically transform their manufacturing processes and products by taking advantage of the digital revolution–AI in particular. If manufacturers can’t develop tailor-made solutions based on these new technologies in-house, they can cultivate relationships and forge partnerships with universities and research centers. This is the case, for example, with Toyota that, like most automakers, has opted for progressive integration of autonomous tech. 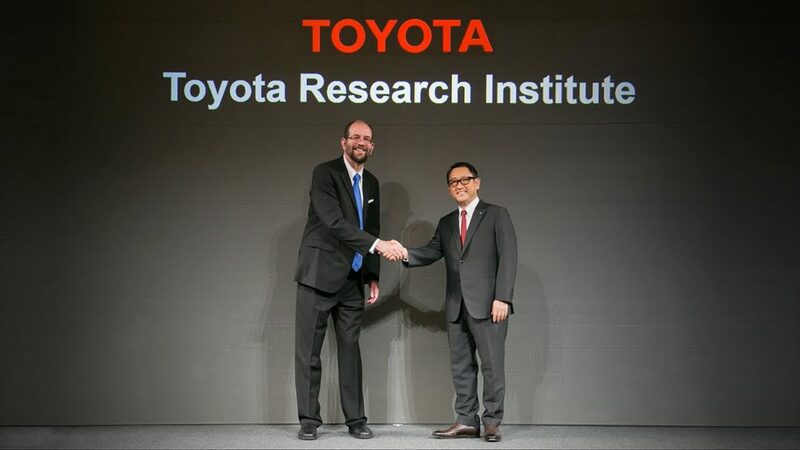 In 2016, Toyota created Toyota Research Institute (TRI), to leverage AI and robotics for its vehicles. Recently, a multi-university research team from MIT, Stanford University, and Purdue University, received $10M in funding from Toyota’s TRI to develop a novel, data-driven design of lithium-ion batteries. With conventional automotive brands and practices falling by the wayside, join research initiatives will accelerate the progress towards autonomous automotive tech. What else should collaborative researchers work on within the automotive industry?